You have a right to feel better, happier, healthier and to live life ​ on your terms. 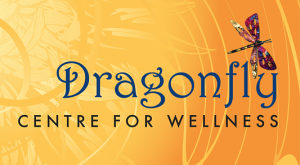 Dragonfly offers a range of services that can help you to release your stress, manage pain, increase your energy and manage your negative thinking, leaving you feeling relaxed, calm, ​balanced and happy. The services offered are complementary to your general health care and work to stimulate your body’s natural ability to heal itself. Encouraging healing at all levels, bringing balance​​ and harmony to body, mind and spirit. Vicki worked as an occupational Therapist in the UK for nearly 20 years, working in both hospitals and the community. She has managed Occupational Therapy services and supervised staff and students. She has a degree in psychology and a Master of Philosophy. A fascination with other forms of treatment led her to complete training in Remedial Massage, Aromatherapy, Indian Head Massage and Reflexology. She moved to Canada and continued her journey, becoming a Reiki Master and IET Master / Instructor and a Quantum – Touch practitioner and instructor. More recently she has become a Thought Field Therapy and Access Consciousness Bars Practitioner. Vicki works with clients to help them achieve their highest levels of wellness. She is particularly interested in working with people who are committed to learning how to manage pain and stress more effectively. Vicki is committed to providing a service that offers exceptional value. She users her experience and training to provide sessions that are tailored to meet the clients needs.